Pingtung County (Mandarin Pīnyīn: Píngdōng Xiàn; Hokkien POJ: Pîn-tong-koān; Hakka PFS: Phìn-tûng-yan; Paiwan: Akaw/Qakaw) is a county in Southern Taiwan known for its agriculture and tourism. In recent years, it promotes specialties such as tuna and wax apples. Pingtung is where Kenting National Park, the oldest and the largest national park in Taiwan established in 1984, is located. The county seat is Pingtung City. The name Pingtung refers to a former nearby mountain known as Half-Screen Mountain (Chinese: 半屏山; Pe̍h-ōe-jī: Pòaⁿ-pêng-soaⁿ). Pingtung means "East of Half-Screen Mountain." Modern-day Pingtung County and Kaohsiung City were part of Banlian-chiu (萬年州; Bān-liân-chiu) during the Kingdom of Tungning (1661–1683) and Fongshan Prefecture (鳳山縣; Hōng-soaⁿ-koān) during Qing dynasty rule (1683–1895). 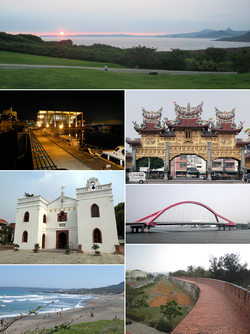 Pingtung County is a recently developed county. Its largest city is Pingtung City. Until the seventeenth century this area of Taiwan was a place of exile for Chinese criminals and occasional landing point for international mariners. Only the settlements near present-day Checheng Township existed. In 1664, the Hakka settlers arrived from mainland China and farmed under a homesteading system introduced by Zheng Jing. Pingtung City, the biggest city in Pingtung County, also known as "A-Kau" (阿猴; A-kâu), was the home of Taiwanese Plains Aborigines. In their language, "A-kau" means "the forest". The first settlements by Han Chinese people were not established until 1684 with the creation of villages near Pingtung by people from China's southern Fujian region. By 1734 most of the Pingtung Plain was cultivated and in 1764 Pingtung was expanded. In 1836 the government and locals worked together to build the four walls of the city (the North gate, the East gate, the West gate and the South gate), and the roads were also properly finished. In March 1867, 14 American sailors were killed near Kenting by local aborigines in the Rover Incident, which lead to the American Formosa Expedition three months later. In 1871, 54 sailors from Ryukyu were killed by local aborigines in the Mudan Incident. The Japanese carried out a punitive campaign against the local aborigines in the Japanese invasion of Taiwan (1874). Under Japanese rule (1895–1945), Hōzan Subprefecture (Japanese: 鳳山支廳) was initially under Tainan Ken (臺南縣), but political divisions changed frequently between 1895 and 1901. In 1901, Akō Chō (阿猴廳) was established. In 1909, the name was modified to Akō Chō (阿緱廳). In 1920, the name was changed to Heitō City (屏東市) and was administered under Takao Prefecture, which consisted of modern-day Pingtung County and Kaohsiung. After the handover of Taiwan from Japan to the Republic of China on 25 October 1945, the area of present-day Pingtung County was incorporated to Kaohsiung County on 25 December 1945. On 16 August 1950, Pingtung County was established after being separated from Kaohsiung County. On 1 December 1951, Pingtung City was downgraded from provincial city to county-controlled city and county seat of Pingtung County. Pingtung was the site of an 7.1 magnitude earthquake on 26 December 2006. In 2009, Pingtung received rainfall in excess of 2,500 millimetres (98 in); breaking all rainfall records of any single place in Taiwan induced by a single typhoon. With a land area of over 2,775 km2 (1,071 sq mi), Pingtung is the 5th largest county in Taiwan, the 2nd largest of Southern Taiwan after Kaohsiung City. Geographically it borders Kaohsiung City to the north, Taitung County to the east, the Taiwan Strait to the west and the Bashi Channel to the south. Islands administered by the county include Hsiao Liuchiu (Lamay Islet; 琉球嶼) and Qixingyan (Seven star reefs; 七星岩). Due to being located at the southernmost part of Taiwan, Pingtung County is well known of having one of the warmest climate within the country. The whole county experiences a tropical wet and dry climate, but due to being such a large county with various geographical differences, climate differs in different areas of the county. Northern Pingtung, such as the Pingtung City, is characterized by having a high daytime temperature year round, averaging from 30-34 degrees Celsius during the warmer season of April–November to 25-28 degrees Celsius during the cooler season of December–March, while also having the lowest nighttime temperatures within the county with temperatures usually dropping below 16 degrees Celsius at night in January due to being located further away from the sea than any other flatland settlements within the county. Central Pingtung, such as the Fangliao Township, compared to northern Pingtung, has a relatively lower daytime temperature but has warmer nights due to the temperating affect of the ocean especially noticeable during winter. The southern tip of Pingtung, the Hengchun Peninsula, has the mildest climate within the county due to being nearly completely surrounded by the Pacific Ocean with the exception of the mountains on the north. Daily highs during the warmer season reach around 29-32 while daily highs during the cooler season vary around 23-26 degrees C, but, on the other hand, night time temperatures remain warm throughout the year from around 25 degrees Celsius during summer to around 19 degrees Celsius during the winter. Pingtung County is divided into 1 city, 3 urban townships, 21 rural townships and 8 mountain indigenous townships. Pingtung County has the most number of rural townships and mountain indigenous townships among other counties in Taiwan. Colors indicate statutory language status of Hakka and Formosan languages in the respective subdivisions. 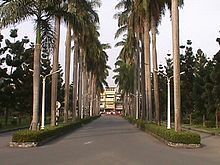 Pingtung City is the county seat of Pingtung County which houses the Pingtung County Government and Pingtung County Council. The county is headed by Magistrate Pan Men-an of the Democratic Progressive Party. Pingtung County elected three Democratic Progressive Party legislators to the Legislative Yuan during the 2016 legislative election. Pingtung is home to the indigenous Rukai and Paiwan tribes, which makes up 7% of the population. As of December 2016, the total population of Pingtung County is 835,792. The county has been experiencing population decline for 15 consecutive years due to emigration to other cities. As of 2015, Pingtung County has the third highest number of registered temples at 1,101 after Tainan and Kaohsiung. The economy of Pingtung County has been traditionally dominated by agriculture and fishery industries. However, the Pingtung County Government has been greatly promoting the tourism sector of the county in recent years. Currently, tourism sector in the county contributes to 30% of the tourism industry in Taiwan. In February 2014, the county government announced a plan to develop an industrial center which consists of a service center, workshop and performance venue. This was aimed to promote the development of industries that leverage the unique cultural attributes of the Linali tribe. On 22 September 2015, the National Development Council revealed a three-year large-scale development plan to boost the economy of the county by transforming Dapeng Bay, Donggang Township and Lamay Island into a fishery, recreational and tourism hub. Pingtung County houses Taiwan's third nuclear power plant, the Maanshan Nuclear Power Plant. The power plant is located in Hengchun Township and is Taiwan's second largest nuclear power plant in terms of its capacity at 2 X 890 MW. The Pingtung Line and South-Link Line of the Taiwan Railways Administration lines cross Pingtung County, consist of Central Signal, Chaozhou, Donghai, Fangliao, Fangshan, Fangye Signal, Guilai, Jiadong, Jialu, Kanding, Linbian, Linluo, Liukuaicuo, Nanzhou, Neishi, Pingtung, Xishi, Zhen'an and Zhutian Station. The Pingtung Line links Pingtung County with Kaohsiung City, while the South-Link Line links Pingtung County with Taitung County. Ferry service is operated between Donggang Township and Baisha Port and Dafu Port on the offshore Lamay Island. ^ 105年05月屏東縣人口統計表. www.pthg.gov.tw (in Chinese). Retrieved 6 June 2016. ^ 臺灣地區鄉鎮市區級以上行政區域名稱中英對照表 (PDF). Online Translation System of Geographic Name, Ministry of Interior. 16 June 2011. pp. 10–12. Archived from the original (PDF) on 25 March 2012. ^ "Pingtung population falls for 14th consecutive year". ^ Hou, Cheng-hsu; Chang, Tsun-wei; Chung, Jack (11 January 2017). "Pingtung population falls for 15th consecutive year". Taipei Times. Retrieved 11 January 2017. ^ Located just a few minutes'walk from Fangliao train station, the art village stretches around 3,000 square meters which provides artists in residence plenty of room to work and live. Converted from old dormitories that once belonged to the Taiwan Railway Administration, the art village has been part of the Art Network of Railway Warehouses run by the Council for Cultural Affairs since 2002. 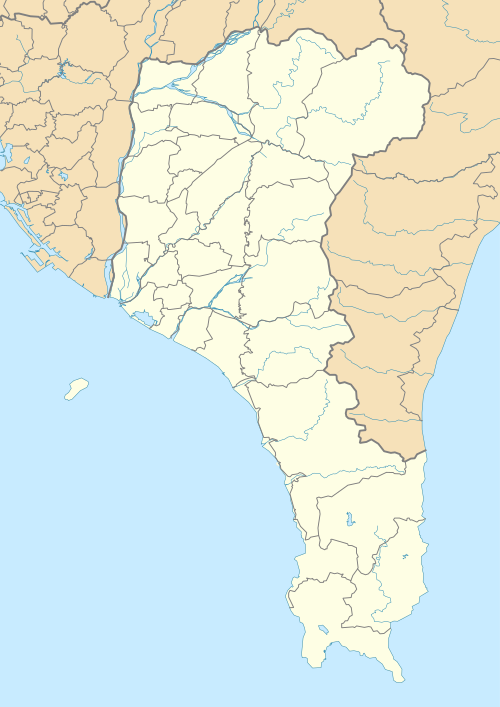 Wikimedia Commons has media related to Pingtung County. This page was last edited on 21 April 2019, at 02:48 (UTC).